Sundays have always been my favourite days when it comes to carving out some me time. Long lazy baths, trips to the library, an extended yoga session, anything that chills me out, get’s me over the week that’s been and ready for the week that is to come. 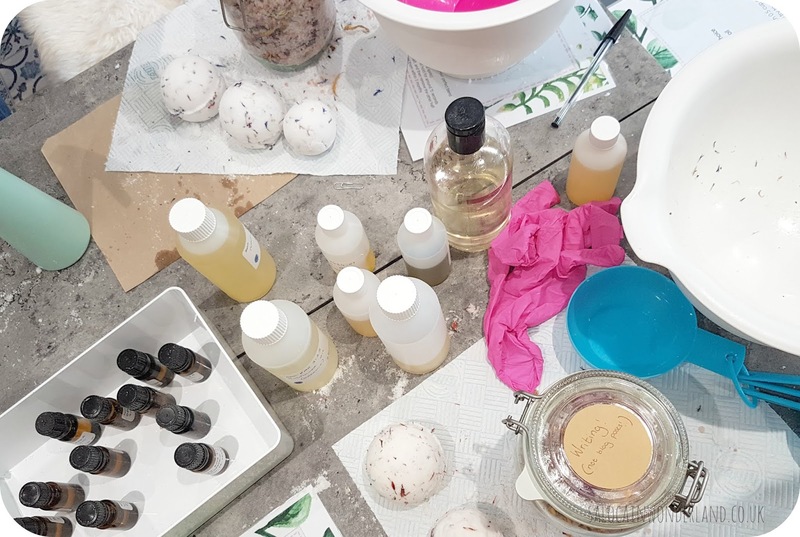 This past Sunday I was invited down the beautiful Think Lash Bar, Roscoe St, to meet Mica, the founder and workshop leader of Polka Lab - workshops that focus on self love, slow living, and DIY skincare. Three of my favourite things all in one place! Mica is incredible passionate about Polka Lab, the lessons it teaches are invaluable when we live in a time in which we just don’t believe we have enough time. Running around, updating social media, working hard and playing less, these are trying, frazzling times for our minds and bodies. As much as I try to make time for me, I’m even better at making excuses not to. And the biggest anti-me-time excuse it all comes down to? Guilt. I feel guilty for switching off my phone. I feel guilty for locking myself away in the bathroom for an hour. I feel guilty spending time with myself. Sound familiar? We seriously need to stop this guilt in it’s tracks and stop feeling guilty for putting ourselves first! Self care, me time, whatever you want to call it, is not selfish. This is how I see it, if we don’t look after ourselves, how can we expect to look after those we care about when they need us? So this is a permission slip to my future self, who is planning on turning her phone off for an hour, or doesn’t post on Instagram for a week. My future self who wants to skip out on a Netflix binge with the Mr one night in favour of a bubble bath and face mask for one. This is your permission slip too. 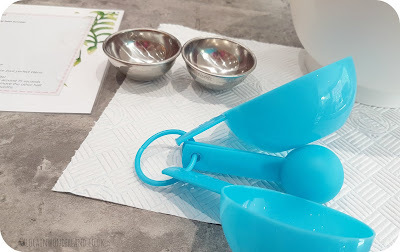 I’ve always had an interest in DIY skincare and beauty, but again, it’s something I’ve never really made time for. 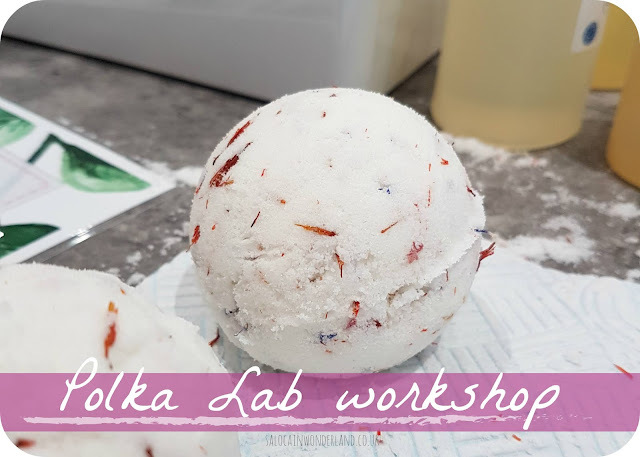 But with Micas encouragement and guidance at the Polka Lab workshop, not only did I learn to make my own bath bombs and bath salts, but I realised just how much I enjoyed it too! I always thought bath bombs were something really fussy and complicated, that would take days to make - more effort than they’re worth right? Wrong! 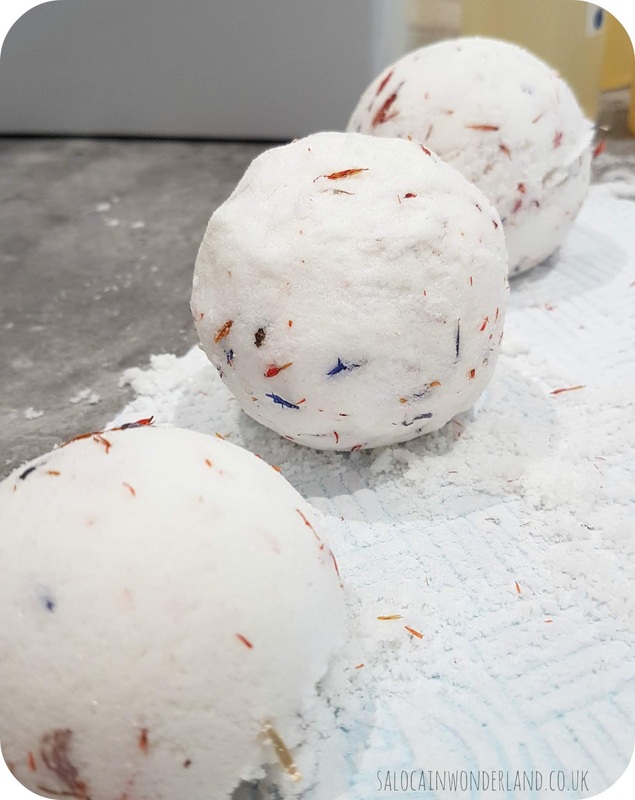 I made 3 bath bombs in under 30 minutes! And I made them exactly how I wanted them. We had a great chat with Mica about carrier oils and essential oils, the properties and benefits of each one, then picked from a selection which ones we felt called best to our current mood and needs. I added avocado oil to my bath bomb mix, for some serious moisturising, then a mixture of geranium oil, juniper berry, sweet orange and rosemary. A heady mixture, rich in antioxidents, detoxification, circulation boosting, skin nourishing and so much more. That’s the pure beauty of DIY bath bombs, you can mix together exactly what you need. As our bath bombs set, we set to work on our bath salt mixtures. I went for a pink himalayan salt and dead sea salt mixture, with sunflower oil. I also added a mixture of grapefruit oil and juniper oil, a supposed fabulous cure for hangovers. Just saying, this might come in really handy! I couldn’t get over how pretty my little mixture looked, how amazing it smells - it’s by my side as I type and I can’t stop sniffing it and smiling. Not only does it smell really good, but I have this overwhelming feeling of accomplishment. Not only did I make something for myself, but I took the time out of my day to do something for myself. Hand on heart, I really do believe we can all find time in our day to do something for ourselves. It might mean getting up earlier, or staying up later. It might mean watching less Netflix, or dragging our backsides from behind the desk and going for a walk each and every day. Find the things that make you happy, from face masks to painting your nails, reading, writing, exercise, making bath bombs, and find a few minutes each day to give to yourself to explore the things you love. A huge thank you again to Mica for inviting me down, I really do wish this incredible woman all the luck in the world with her ventures! Her vision for Polka Lab and slow living really speaks to me and I can't wait to see where she goes with this mission! Do you think you make enough time for yourself? This sounds like a fun thing to do. I'd love to try something like this. Thanks for sharing. I can see you loving this workshop! Be sure to keep an eye out for upcoming events! Be great to see you at one in the future! I knew this workshop would be right up your street! 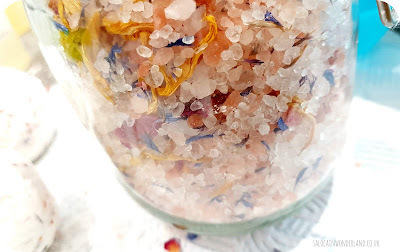 I love making my own bath salts too, once you collect a few essential oils and grab some Himalayan or Epsom salts (I get mine from Home Bargains) you can whip up a mixture to suit every mood! Yes! I'm thinking of picking up 1 or 2 essential oils each month and getting into making my own much more often! Build myself a little self love survival kit hehe!